National Dance Company Wales’s new UK tour will run from 8 February to 13 May, following its ambitious and successful staging of P.A.R.A.D.E. National Dance Company Wales’ new Spring programme, Terra Firma, will tour for 16 dates to towns and cities across the UK, starting its journey in the Welsh capital. It will also visit Austria and Germany as part of National Dance Company Wales’ ambition to tour internationally. Terra Firma will be touring four pieces in total, with each venue staging three of the four pieces. For NDCWales, contemporary dance is a way to tell old stories in new ways, pulling together vibrant physicality with memorable music and beautiful scenery. The tour sets out to present work by the best international choreographers, continuing to diversify by bringing a fresh and dynamic programme to reach new audiences. The three choreographers behind each dance piece of the Terra Firma tour are all reciptients of the Copenhegan International Choreography award over various years. The tour will encompass Folk by Caroline Finn, The Green House by Caroline Finn, Tundra by Marcos Morau, and Atalaÿ by Mario Bermudez Gil. 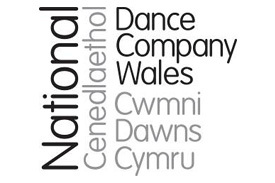 Audiences will also have the chance to gain further access to National Dance Company Wales. Discover Dance is an ideal introduction to dance for young people and adults, a fun experience of joining in and watching a dance piece whilst learning what it’s like to be a dancer. Watch Dance Class is an opportunity to sketch, photograph and learn more about the backstage secrets and watch the dancers up close as they prepare on show day. The Post Show Talk is chance to ask Rehearsal Director Lee Johnston and NDCWales dancers about their work and what it takes to become a dancer in a leading UK dance company. The tour will visit the following towns and cities throughout February, March, April and May: Cardiff, Huddersfield, Taunton, Brecon, Birmingham, Shrewsbury, Aberystwyth, Newtown, Milford Haven, Austria, Germany, Newport, Bangor, Swansea, London, Derby, and Newcastle.